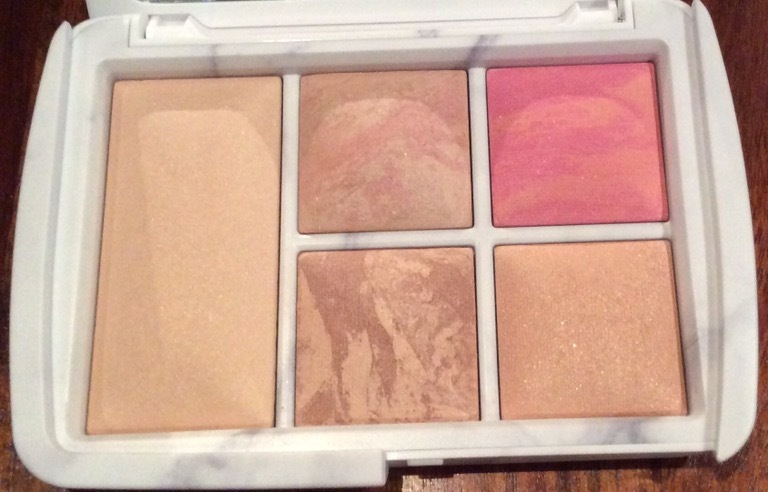 My most recent beauty purchase has been the beautiful Hourglass Ambient Lighting Edit / Surreal Light Palette – £69. 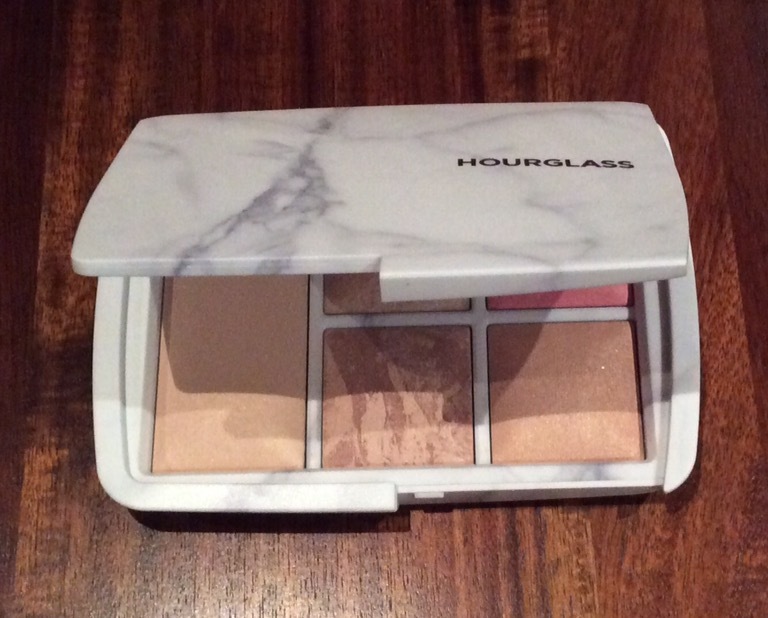 I love the majority of Hourglass products and when I first saw the palette the packaging caught my eye straight away and as I had credit on my Space NK N-dulge card I could not resist and decided to treat myself. Surreal Strobe Light: a glimmering peach powder – it is a good highligher especially for the top of the cheeks and brow bone but want to ‘play’ about with it a bit more. Highlight: Apply Surreal Strobe Light to the high points of the face – tops of cheeks, bridge of nose, brow bone and cupid’s bow. Can be used wet for a more intense highlight. I have only had a chance to use the five products a few times and although I enjoyed using them all, initially my three favourites are the two blushes, Surreal Glow just gives that natural flush of colour to your cheeks and is a light peach / rose gold shade and the Surreal Effect is perfect when you want a bit more colour and is a brighter pink shade. The Surreal Bronze Light is perfect for contouring, adding a bit of definition – however I am looking forward to ‘playing’ about with all the products a bit more as these are only my initial thoughts and there are lots of different options. Note all the shades contain a slight shimmer however I have found this is not very noticeable unless you apply too much. SPACENK UK:, – £69 – if this is your first order and you use my referral link here you will get a free beauty gift bag containing 5 deluxe sample / travel sizes (until 14.12.16 or while stocks last) and you will also get to choose three free samples at checkout, while stocks last and free shipping – however remember to sign up to their N-Dulge scheme to get credit points with purchase and a free gift on your birthday and also remember to sign up or go through Topcashback first to get cashback on your purchase (if you sign up using my referral link here you will also get a £5 Amazon gift card).